As the 2011 winner of the BOMA/Chicago Gold Circle Awards in the Emerging Leader category, it truly was a rewarding experience to have my name called during the gala celebration January 20. After years of hard work and dedication to commercial real estate, it was great to be recognized by industry peers. 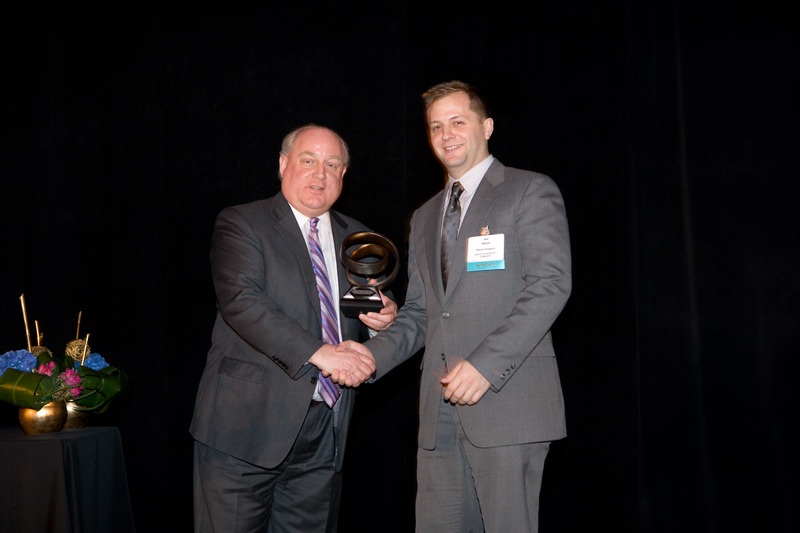 Wade Rodgers accepting his Gold Circle Award from BOMA/Chicago board president, Bob Six. What sets the BOMA/Chicago Gold Circle Awards apart from other industry honors is that they recognize individuals’ achievements in different disciplines and their contributions to the organization and the industry. Awards are given to property managers, who are the face of the building to tenants and suppliers, as well as the “unsung heroes” of the industry – the engineers and security professionals working behind the scenes. In just two years, more than 60 applicants have been nominated for the BOMA/Chicago Gold Circle Awards, and they truly embody the best and brightest in commercial real estate. The strength of the competition only makes the Gold Circle Awards more valuable to the finalists and winners. Developing and managing the annual Gold Circle Awards is just one more way that BOMA/Chicago adds value for its building and affiliate members. Participating as a volunteer leader has positively impacted my career. Applications for this year’s Gold Circle Awards will be available after Labor Day. Check the BOMA/Chicago website and weekly newsletter, The Blueprint, for more details. Winners will be announced at the TOBY/Gold Circle gala slated for January 2012. The Gold Circle Awards are now in their third year; how would you like to see the program evolve? Are there new categories you believe should be represented or new initiatives to promote the program? BOMA/Chicago is always exploring ways to improve programs like the Gold Circle Awards, so leave a comment and let us know we can do to make the event even better this year.